NEWS TODAY: Samale in purple pigeon pants probe! re: NEWS TODAY: Samale in purple pigeon pants probe! Also, Lich King meets his demise. Next up, 10m heroic! 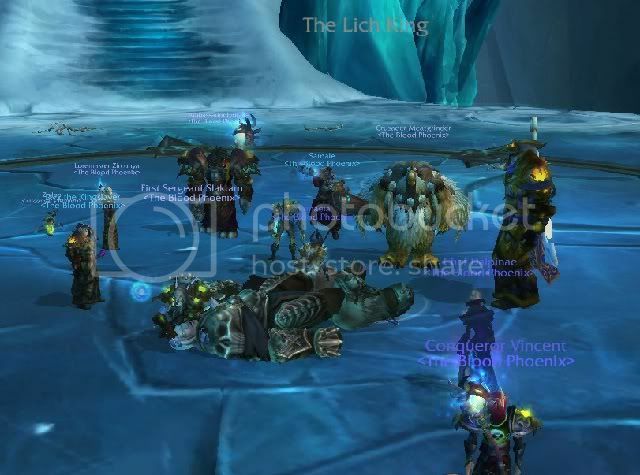 As you can see, the real reason for the Lich King's demise was my heroic tunnelling inside his body mid-fight. You can see me there, escaping through a hole made in his kneecap after the kill.